Automotive marketing you can TRUST. Dealers have lots of choices when it comes to marketing partners. Octane has been chosen by some of the best because we not only know marketing, but we also know automotive. Like any great service company, our foundation is our team of automotive pros. Combined, Octane’s leadership team has 45 years retail automotive experience, 30 years working for many different OEM’s and 50 plus years working for automotive agencies. This allows for us to have a deep understanding of our clients’ needs and goals. Our recommendations come from real life experience and are more than a catchy sales pitch. 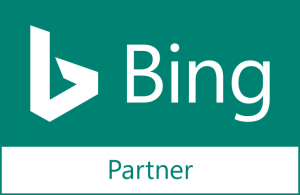 This is why Google has chosen us as a Google Premier Partner, and Bing has chosen us as a Bing Partner, our campaigns deliver results. We’re proud to be working with some of the best dealers and groups in the industry. One of our Auto Marketing Experts will be right in touch.